✔ Advised for all pregnant women. The Government's Chief Medical Officer advises that all women planning a pregnancy should take a 400mcg Folic Acid supplement. Supplemental folic acid intake increases maternal folate status. Low maternal folate status is a risk factor in the development of neural tube defects in the developing foetus. The beneficial effect is obtained with a supplemental folic acid daily intake of 400 μg for at least one month before and up to three months after conception. 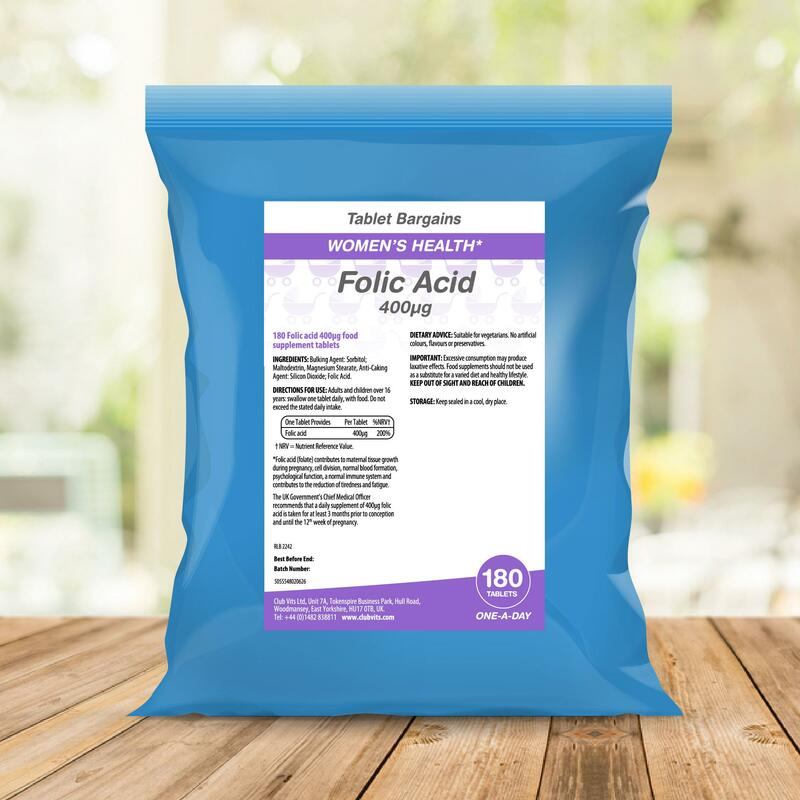 Other benefits of folic acid include maternal tissue growth during pregnancy, the reduction of tiredness and fatigue and immune support. Bulking Agent (Sorbitol), Maltodextrin, Magnesium Stearate, Anti-Caking Agent (Silicon Dioxide), Folic Acid.